Every pregnant woman deserves quality obstetrical care. Our team works with you to provide the best care, answer your questions and keep you informed during every phase of your pregnancy. For issues outside the scope of a regular office check-up, our referrals to qualified professionals allow you to be confident of expertise in each facet of your pregnancy. Preconceptual Care: Because a healthy pregnancy starts before conception, careful consideration in choosing an Obstetrical physician is important. At The Cobb Group, we take a pro-active approach. Our physicians are able to assist with advice and procedures on conception and infertility issues, conduct pregnancy testing, and begin a discussion on health and diet. A preconceptual visit allows our doctors to screen for various conditions to evaluate medical and genetic conditions and immunities, and present the steps for a healthy pregnancy. Through this screening, evaluation, and education process, we optimize preparation for our patient’s best possible experience during pregnancy. Your First Prenatal Appointment: In your first visit with one of our Doctors , a complete medical and surgical history is recorded, and an evaluation is made to determine the possibility of genetic diseases occurring, or the need for further medical screening that may affect the health of your baby. We cover the basics of pregnancy, options available for testing during pregnancy and establish a care plan. We discuss and cover the dos and don'ts of pregnancy, and what to expect during your pregnancy, delivery, and postpartum care. Care During Pregnancy: During pregnancy, we schedule visits for regular check-ups, lab tests, ultrasounds, genetic screening and—if necessary—counseling. 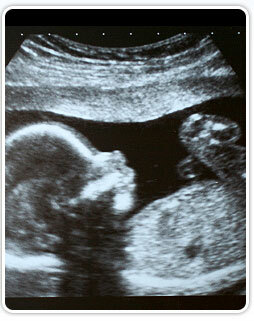 We also discuss fetal development, progression of your pregnancy, and preparation for delivery. Delivery and Beyond: Our doctors are on staff at two area hospitals: St. Mary’s Medical Center and Deaconess Women’s Hospital. During your pregnancy you will need to arrange a tour of these medical facilities, and then let us know your choice for delivery location. After delivery, regular follow up visits will be scheduled for vaginal and cesarean section deliveries to check on any post operative incisions and postpartum progression.